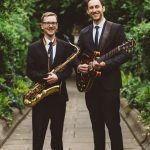 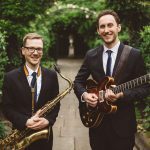 Saxophonist Matt Anderson and guitarist Alex Munk make up a highly skilled & award-winning jazz duo based in London who are guaranteed to lend a sophisticated soundtrack to any event. 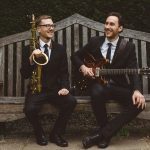 Two acclaimed and highly sought-after musicians, they have appeared at the U.K. and Europe’s top jazz clubs, played at countless weddings and private parties and have also performed for well-known clients such as Elton John and Lord and Lady Sainsbury, as well as for a private party hosting HM The Queen Elizabeth II. 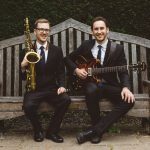 Please use the Contact page if you are interested in making a booking and we will reply promptly to your request.